This week we have the pleasure of pouring some exciting new Chilean wines from Viña González Bastías in the Maule Valley not far from the sea. Chile is home to some of the oldest wine grapes in the Americas, brought by the Spanish, and the vines here are no exception, many of them upwards of 200 years old. Jose Luis Gómez Bastías and his family are the owners of the vineyard in which they work hard to maintain the traditions of the past, producing their wines in the same way as their forefathers did, to clear intention to value the patrimony of González Bastías. 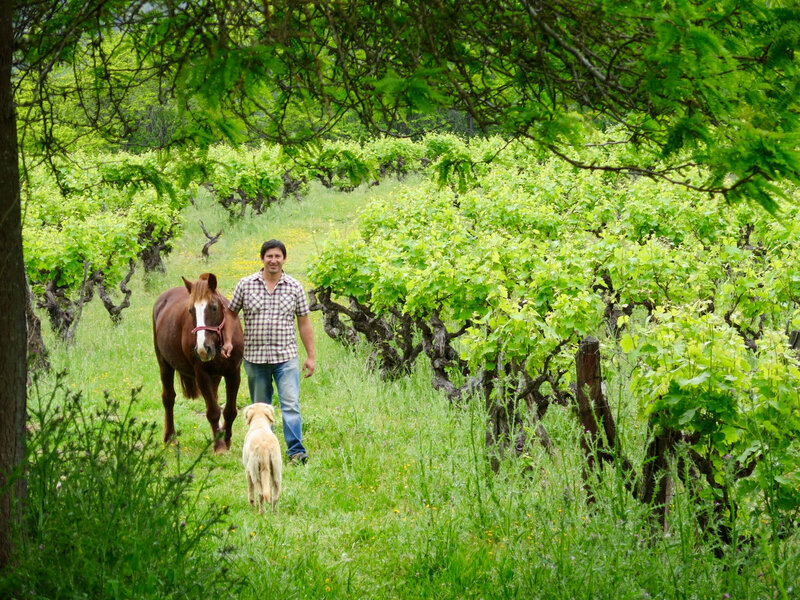 With only about 4 hectares of vines of mainly aromatic whites like moscatel and the ever-present light red País (originally from the Canary Islands, we call it the Mission grape in North America), the Bastias family have essentially just never changed the way things were done and so have been natural for five generations. We'll be pouring a skin fermented white and two examples of País. To round out the selection, we will also be pouring a new Catalan wine we are very excited to finally have in the shop, from Carles Alonso, who has been making natural wines in the foothills of the Pyrenees since the 70's, in a small hamlet of which he is the sole inhabitant. Rustic country wine at it's finest, and the perfect thing to transport you that region mentally, true agua.